Ron Berger is Former Chief Exec. Officer & Chief Creative Officer. 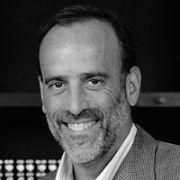 Ron was responsible for the management of Euro RSCG's New York and San Francisco-based advertising and marketing services companies. Under Ron's leadership, the agency acquired new accounts ranging from Charles Schwab to Jaguar to Claritin to Verizon Business, and added major creative, interactive, and strategic assignments from Volvo, Schering-Plough, Oppenheimer Funds and others. Ron was instrumental in persuading long-time client Volvo to grant the agency its pan-European business, leading to the creation of Fuel Europe, a London based unit totally dedicated to the Volvo business. Ron has been in the advertising business since the age of 18, when he took the summer job of mail boy and center fielder for the Carl Ally agency. Ron's most widely acclaimed work there, the "Time to Make the Donuts" campaign for Dunkin' Donuts, was honored by the Television Bureau of Advertising as one of the five best commercials of the 1980s. In 1986, he co-founded the agency that became Messner Vetere Berger McNamee Schmetterer Euro RSCG. Through the 1990s, the agency was the fastest growing major agency in the advertising industry. His commercial for Volvo, titled "Survivors", was selected "Best Commercial of 1993" by Advertising Age. In recognition of this work, Ron was featured in the Wall Street Journal's Creative Leader campaign. In 2003, Ron directed and produced The Boys of 2nd Street Park, an award-winning documentary that premiered at the 2003 Sundance Film Festival and appeared on Showtime. And after screening at Sundance in 2005, his second film, Ring of Fire: The Emile Griffith Story, made its world premiere on USA Network that April and was selected by Entertainment Weekly as one of the Ten Best Sports Documentaries of all time. Ron is Chairman of the American Association of Advertising Agencies, Co-Chairman of Advertising Week, and sits on the Advisory Board for the Children's Health Fund and the Creative Review Committee for the Partnership for a Drug-Free America. Ron graduated from the University of Hartford in 1971 with a B.S. in Psychology. In 2001 he received the Vincent Brown Coffin Award, presented to a former student-athlete who has demonstrated excellence in his or her profession.